In most cases, that means we’ll review your asset protection requirements via Frog Wealth Management in conjunction with your personal protection insurance needs via Frog Financial Management. For you, that delivers the most comprehensive process possible, meaning you should enjoy even greater peace of mind, more efficiently and affordably. Asset Protection + Insurance review = maximum return on time. We can come to you, where and when it suits you best. Standalone Asset protection reviews also available. In a complex marketplace, Frog Wealth Management can make sure you’ve protected the things that matter. We’re also able to clarify the range and choice of solutions on offer and advise on the best options for your circumstances. Whether you’re looking to protect assets today or long into the future, we can advise on and recommend the best possible solution at the best possible cost. It may be that a Will is all you need, or you may need to think ahead to how you can protect your personal and business assets from the cost of Care in your old age, or for the benefit of your children and grandchildren. Bloodline Planning ensures your assets reach your children and grandchildren, rather than ending up in the wrong hands! We’re often asked to explain the complex world of asset protection, so we’ve listed some of the most frequently asked questions here. If you don’t find the answer you’re looking for, give us a call at any time. Q. We only have debts to leave behind us, why do we need a Will? A. Will can take care of more than just money. If you have young children, for example, a Will can ensure they aren’t taken into care should the worst happen. Because a Will allows you to legally nominate an appropriate Guardian. Without one, your children could be taken into care until the Courts decide who is best to look after them. Making a Will is a simple and affordable way to provide greater peace of mind. Q. 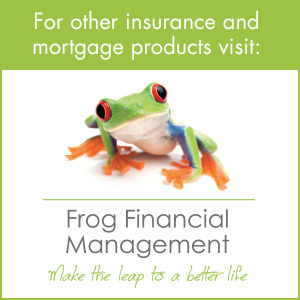 Why use Frog Wealth Management? A. Because we make making a Will as convenient as possible. Many of our clients have told us they just can’t take time out of their busy schedules to attend a solicitor’s office in working hours, for example. So, we’ve tailored our services appropriately, coming to them where and when is convenient. It’s all part of the service to ensure your assets and family are protected. Q. What do we do with our Will once it’s made? A. We’ll arrange to have all your important documents stored for you – for a small annual charge. Having your Will stored offsite in a fire-proof safe is widely accepted as best practice. Q. My parents are concerned about the impact of Long Term Care costs, what should I do? A. Talk to us. We have discussed these issues with many people in a similar situation and helped them to take a few simple steps to minimise the effects of Care Costs on their legacy. Q. I have worked hard to build up my wealth over many years. I am concerned over my children’s financial awareness, should they suddenly inherit my Estate. What should I do? A child getting divorced and half of their wealth being attacked in the settlement. A child going bankrupt and all their wealth being attacked by creditors. A child dying and the wealth they inherited being subject to IHT a second time, before the grandchildren can benefit from it. 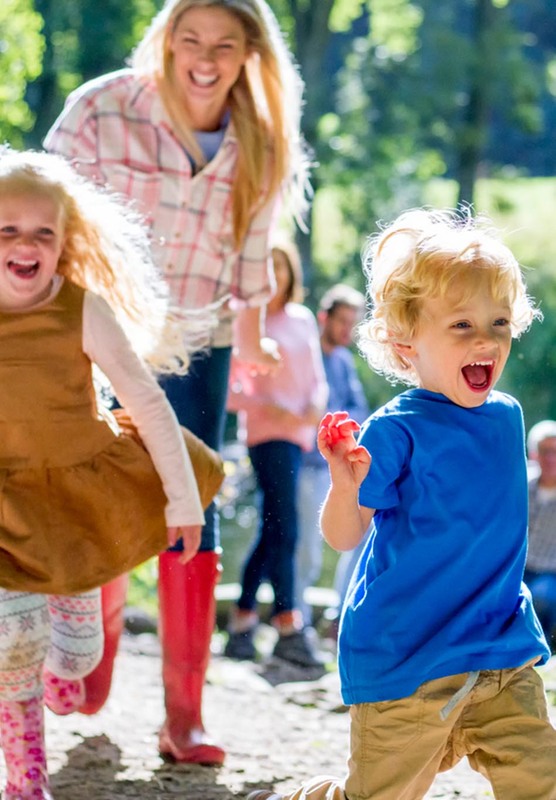 Frog Wealth Management can help you address all the above issues; these can be addressed with some straightforward planning, providing you peace of mind and ensuring all your hard work will benefit your children and grandchildren. With Frog Wealth Management, it only takes a little planning to make sure your children and grandchildren benefit from your hard work for generations to come. Bloodline Planning will ensure that your assets reach your children, grandchildren and other relatives, if this is your wish, rather than ending up in the wrong hands. Without this kind of planning, assets such as cash and property are passed to Beneficiaries “absolutely”, leaving them at risk of attack from any future divorce settlements, creditors and taxation. By using Trusts strategically, your children and grandchildren can benefit completely from their inheritance, while ensuring the family home and other assets are not lost to the costs of Long Term Care. If you want to make sure your hard-earned assets benefit more generations of your family, Bloodline planning is essential. PLEASE GET IN TOUCH WITH US TODAY?